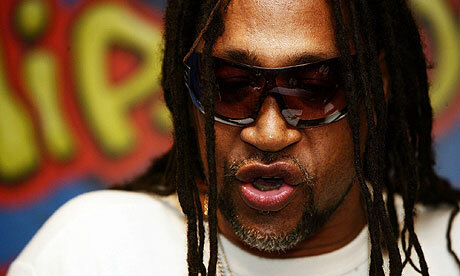 Home » Blogs » Would Hip Hop Exist Without Jamaica? It is generally accepted that the roots of hip-hop are planted deeply in the fusion of America and Africa. African music was taken to North and South America by West African slaves. There, they developed it into their own musical styles and it gradually became popular over time. Gospel, blues and jazz are all part of this history in the U.S., while reggae, calypso and ska started in the Caribbean. All of these influences were brought together by Clive Campbell (Kool D.J. Herc) who is regarded as the father of hip-hop. He was born in Jamaica in 1955 and later moved to the Bronx in 1967, at the tender age of twelve. With his original style of R & B, soul, funk, and obscure disco, he quickly became the driving force of the hip-hop way of life. It is widely accepted that Herc was the first DJ to purchase two copies of the same record for just a small break (rhythmic instrumental segment) in the middle. By mixing back and forth between the two copies he was able to double, triple, or indefinitely extend the break. By doing this, he effectively deconstructed and reconstructed so-called ‘found sound’, using the turntable as his musical instrument. That concept in its entirety came from Jamaica. Modern rap music finds its origins deeply embedded in the toasting and dub talk over elements of reggae music. In the early 70’s he attempted to incorporate his Jamaican style of dj which involved reciting improvised rhymes over the dub versions of his reggae records. Unfortunately, reggae wasn’t received positively by the majority of New Yorkers. Kool Herc realized this quickly and modified his style by chanting over the instrumental or percussion sections of the day’s popular songs. Because these breaks were relatively short, he learned to extend them indefinitely by using an audio mixer and two identical records in which he continuously replaced the desired segment. Herc’s career began to fall in 1977. The emergence of Grandmaster Flash and Bambaataa’s various crews with their polished emcee styles began to overshadow Herc. He was later stabbed three times at one of his own parties and was never the same. He played his last Old School party in 1984. It is sad that a person like this is not a common part of the modern hip hop vernacular. Jamaican born Kool Herc, the father of this new form of music that has now been embraced by the masses all over the globe. Let us ensure that his significant contribution to the musical art form is not forgotten.